Drobo, the award-winning maker of smart storage arrays for businesses and professionals, today announced major capacity and performance enhancements to the B1200i hybrid storage system designed for small-and medium-sized businesses. Featuring standard and hybrid storage configurations that automatically tier data between traditional hard drives and solid state drives, the Drobo B1200i delivers a level of automation and technical sophistication usually reserved for more expensive and complicated enterprise storage solutions. 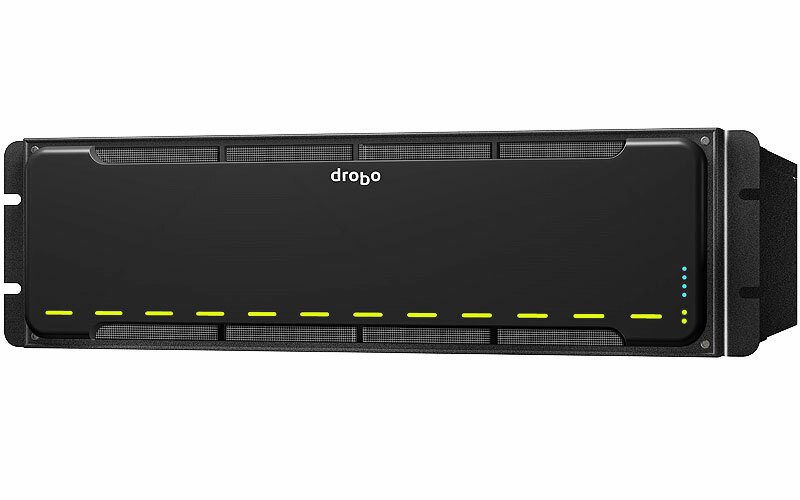 Set to be popular with professionals, the Drobo B1200i aims to simplify and consolidate both physical and virtual storage in a single array with “on-demand” ability to scale both capacity and performance. The drive boasts a huge array of features to keep files safe, secure and protected against disk failure or data corruption. It looks fast and comprehensive, read more about the Drobo B1200i here.